By providing fast response assistance and a great variety of professional services, our Locksmith in Delta BC can improve your security and fix any problem related to it. Interested in installing new office locks? Faced with a home lock problem? Can’t find the car keys? 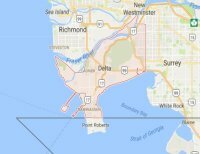 Whether you want routine or emergency locksmith service in Delta, our business can help. Our business is local and offers 24 hour locksmith service. Responding fast to our customers’ calls is one of the policies at our company, but there is one more good reason for us to rush in helping you when you can’t open or lock your door. You can count on us whenever you lose the key, break it inside the lock, one of the doors won’t lock or you are locked out for any other reason. 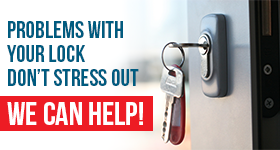 Taking care of emergency locksmith needs is our priority, but we are also here to enhance the security of your office, install new home locks and change the locks of your car. Our technician can drop by your house to fix a problem with the bedroom’s knob lock, install baby locks or rekey the deadlock. From lock repair to rekeying services, you can count on our Delta team whether your needs are at home or in the office. Our professionals offer expert office locksmith service. If you care to change some locks urgently, install a new digital system, and rekey or fix locks, rest assured that one of the technicians from our company will quickly cover your office needs. From lockouts to broken key extraction, depend on our skills and expertise. We have vast experience in car locks and can fix most brands found in British Columbia. When you can’t find the vehicle keys, can’t get access to your car, or can’t open the trunk, let us know. Our technicians provide car lock change service, replace keys and make spares, program transponder keys for most vehicles, unlock the steering wheel, repair the ignition, and help 24/7 when you are locked out. Do turn to our Delta locksmith service for your problems.